Our last post shared some of our favorite podcasts for elementary school students. Today, we continue our list with selections for students in middle and high school. Like our prior list, these are all free and are terrific ways to entertain while building knowledge and vocabulary. We suspect parents will enjoy them just as much as their kids! RadioLab – Episodes are usually just under a hour long. Originally created as a science podcast, Radiolab has evolved into an edge-of-your-seat ode to curiosity. Hosts Jad Abumrad and Robert Krulwich present entertaining, profound explanations for natural, social, medical, and cultural phenomena (organ donation, genes and genetic mutation, animal research, sports, hunting, the elements, criminal justice…) all around us. TED Talks – Episodes are usually between 7 and 15 minutes long. TED has something for everyone. Topics cover the arts and sciences, innovation and philosophy, entertainment and history, and many, many more. Their relatively short runtime is also a plus; most can be enjoyed on the way to school. The Allusionist – Episodes are about 20 minutes long. 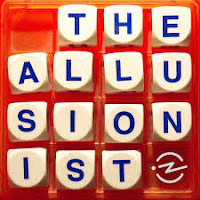 This podcast is a fun romp through the intricacies and idiosyncrasies of the English language. Episodes delve into topics teens will find interesting, like cursing and accents. Freakonomics Radio – Episodes range from 30 to 45 minutes. The hosts of this entertaining, irreverent show look for explanations for things you never knew you wondered about (but are captivated by the moment the episode begins). Recent shows explore questions like how to do the most social good with $100, why gluten has been demonized, languages and Esperanto, brain damage among N.F.L. players. Intelligence Squared – episodes are about an hour long. The premise of this podcast is simple: a motion (e.g. “Dating Apps have Killed Romance”; “Pay College Athletes”; “The U.S. Health Care System is Terminally Broken”) is introduced and the audience votes, indicating whether they agree, disagree, or are unsure. Then four experts on the topic, two who support the motion and two who oppose it, debate with each other and field questions from the audience. At the end of the show, the audience votes again, and the side that changed the most minds wins. The debate among listeners is likely to continue long after the episode is over! More Perfect – Episodes range from a little over 30 minutes to just under an hour. 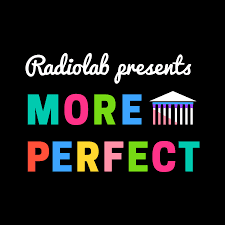 Brought to you by the brilliant creators of RadioLab (see above), More Perfect explores the Supreme Court, covering its history, its impact on current events, and the impact it may have on our country in the future. More Perfect is hip, entertaining, and addictive. This American Life – episodes are about an hour long. This is one of the best podcasts around. TAL’s journalists present a series of stories each week that all revolve around a current, relevant, theme. Some are humorous, some are poignant, all are thought-provoking. A few of our favorite shows have featured the outcome on group of convicts at a maximum security prison when they learn and perform Hamlet; the ups and downs of union membership for a group of employees at a car factory; sleepwalking; obesity in America; and, hilariously, a policeman frantically trying to catch a squirrel. How Stuff Works – episodes generally run from 20 to 35 minutes. The How Stuff Works website features a rabbit hole of fascinating videos and articles, too, but its selection of podcasts will keep fans busy and informed on the go, too. There are a number of categories, including Stuff You Missed in History Class (genuinely interesting tales your teacher probably didn’t have time to get into); Stuff You Should Know (a grab bag of topics including current events, historical tidbits, politics, environmental issues, and many more); and the fascinating Stuff to Blow Your Mind (recent episodes explore why you shouldn’t drink seawater, meditation, Tetris syndrome, and grisly ancient neurosurgery).